Bourbon Street: Street in the heart of the French Quarter neighborhood in New Orleans, Louisiana. French Quarter: Downtown neighborhood in New Orleans, Louisiana. Audubon Zoo: Zoo in New Orleans, Louisiana. City Park New Orleans: Park in New Orleans, Louisiana. Oak Alley Plantation: Historic plantation in Vacherie, Louisiana. Lake Pontchartrain: Lake in New Orleans, Louisiana. Preservation Hall: Musical venue in the French Quarter neighborhood in New Orleans, Louisiana. Mardi Gras World: Tourist attraction in New Orleans, Louisiana. Lake Pontchartrain Causeway: Longest continuous bridge over water in the world, located at Lake Pontchartrain in New Orleans, Louisiana. The National WWII Museum: Military history museum in New Orleans, Louisiana. Jackson Square: Historic park in the French Quarter neighborhood of New Orleans, Louisiana. Baton Rouge Zoo: Zoo in Baton Rouge, Louisiana. Myrtles Plantation: Historic plantation and bed & breakfast in St. Francisville, Louisiana. Whitney Plantation: Museum devoted to slavery, located in Wallace, Louisiana. Aquarium of the Americas: Aquarium in New Orleans, Louisiana. Garden District New Orleans: Neighborhood in New Orleans, Louisiana. New Orleans Museum of Art: Art museum in New Orleans, Louisiana. St. Louis Cathedral: Cathedral in the French Quarter neighborhood in New Orleans, Louisiana. 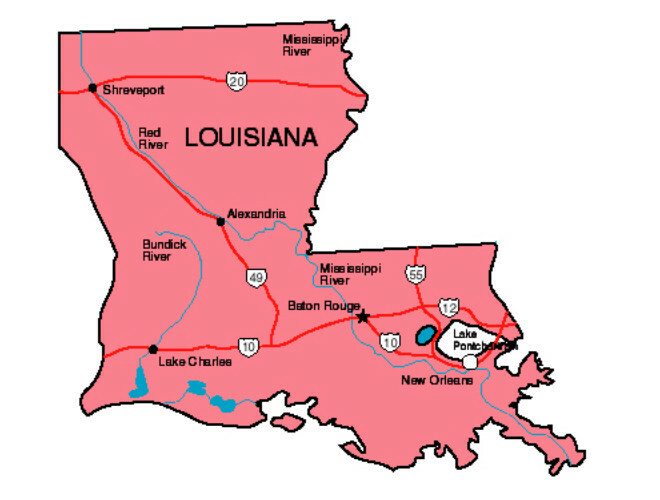 Louisiana was named in honor of King Louis XIV of France. 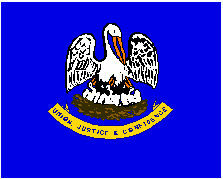 Louisiana has the tallest state capitol building in the United States. It is 450 feet tall and has 34 stories. Lake Pontchartrain Causeway in Louisiana is the longest continuous bridge over water in the world. It is 23.87 miles long and connects Metairie with Mandeville. Breaux Bridge is known as the "Crawfish Capital of the World." Rayne is known as the "Frog Capital of the World." The Saint Charles streetcar line in New Orleans is one of only two mobile national monuments in the United States. San Francisco cable cars are the other. The first documented Mardi Gras parade in New Orleans occurred in 1837. The first floats appeared 20 years later, in 1857. The first opera performed in America was on May 22, 1796, in New Orleans. 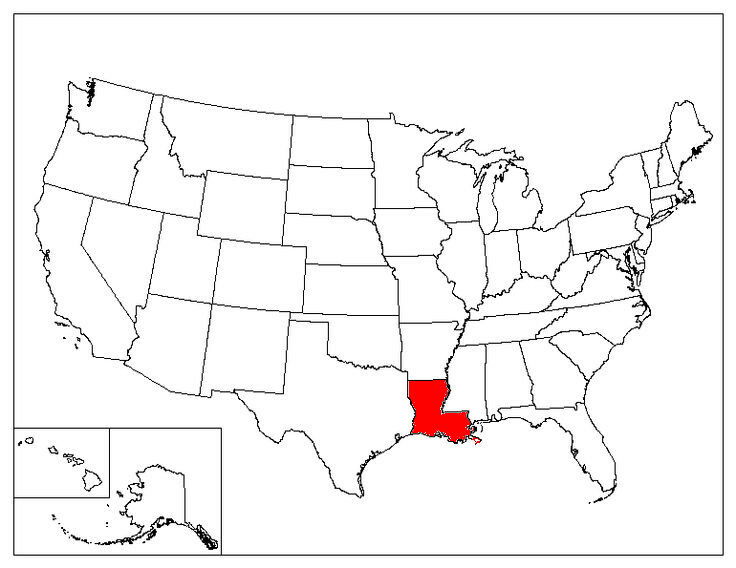 Louisiana is the only state in the United States that follows the legal system established by Napoleon. The other 49 states follow English common law. In Louisiana, staging a "fake" wrestling or boxing match is prohibited. The penalty is loss of license. In 2007, Louisiana became the last state to ban cockfighting.